Christian Bouy received his doctorate from Paris-Sorbonne University, Paris IV, in 1981. His thesis was entitled “Matériaux pour servir à l’étude de l’Āgamaśāstra de Gauḍapāda”. From 1981-2011, his work focused mainly on Sanskritic Hindu philosophical texts. The main areas of his research have been 1. a comparative study of the Upaniṣads, which led him to become interested in the whole of Hindu Sanskritic texts and their chronology; 2. the philosophical literature of non-dualist (advaita) Vedānta; 3. Hindu Purānic texts; 4. yogic texts of the Nāths; 5. Hindu tantric texts. After his thesis defense, he researched the Buddhist and Hindu sources of the Gauḍapāda’s Āgamaśāstra, in particular the status of this text as “revelation” (śruti). This led to a study of the role that the Upaniṣads have played in philosophical Hinduism, and to a Doctorat d’ État under the supervision of Michel Hulin in 1982. This was followed by a major research project on the sources of the corpus of one hundred and eight Upaniṣads. From 1990 to 1993 he was a member of the “Religions, Rites and Ideologies” group at the Collège de France-CNRS. During this period he presented a paper entitled “Gorakṣanātha, la littérature des Nātha-yogin et quelques textes upaniṣadiques qui traitent de sujets yogiques”, a later version of which was published by the Institute of Indian Civilisation of the Collège de France. In 1993 he began editorial work on a dictionary of technical terms from Tantric Hinduism. A first instalment (of technical terms beginning with a vowel) appeared in 2000. From 1997 to 2001 he worked on the modern historical figure Dayānanda Sarasvatī. At his passing, he was Assistant Professor of Sanskrit at the Collège de France in Paris. 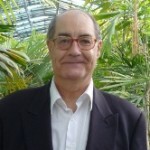 His full C.V. and list of publications (in French) is available to download. 1994. Les Nātha-yogin et les Upaniṣads. Étude d’histoire de la littérature hindoue. Paris, 146p. (Publications de l’Institut de civilisation indienne, fasc. 62). 2000. L’Āgamaśāstra de Gauḍapāda. Un traité vedāntique en quatre chapitres. Texte, traduction et notes. Paris, 432 p. (Publications de l’Institut de civilisation indienne, fasc. 69). 2000. Collaborateur et rédacteur (avec M. Rastelli) de: Tāntrikābhidhānakośa, I [A—AU]. Dictionnaire des termes techniques de la littérature hindoue tantrique, sous la direction de H. Brunner, G. Oberhammer et A. Padoux. Wien, 260 p. (Österreichische Akademie der Wissenschaften, phil.-hist. Kl., Sitzungsberichte, 681; Beiträge zur Kultur- und Geistesgeschichte Asiens, 35). 2001. “L’Amṛtanādopaniṣad selon Śaṅkarānanda, Dārā Šukōh et Anquetil Duperron”, en collaboration avec Pierre-Sylvain Filliozat: in Le parole e i marmi : studi in onore di Raniero Gnoli nel suo 70° compleanno, a cura di Raffaele Torella, Roma (Serie Orientale Roma, XCII, 1), p. 123-170.